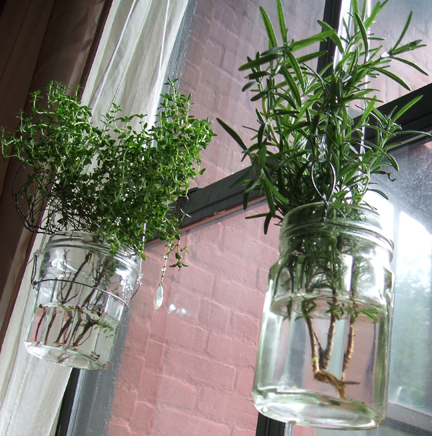 Creating this beautiful floating herb garden is simple, all you need are a few empty jars and a quick trip to the hardware store. 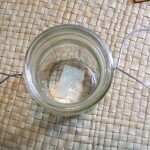 The steps to make your own are outlined in the gallery below… be sure to click on the pictures to see the detail. 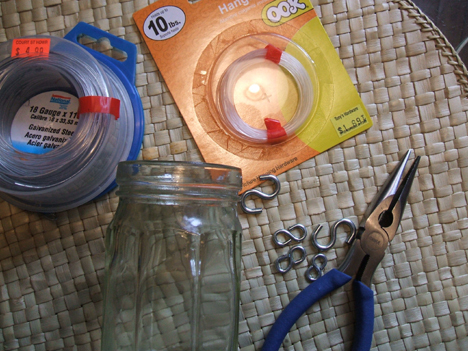 Using the cutting part of the pliers, snip a piece of wire large enough to wrap around the mouth of the jar twice. 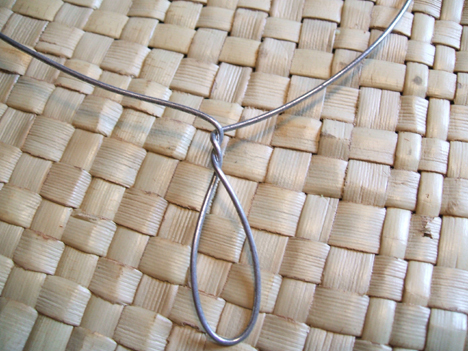 Find the center, then twist a loop into the wire. 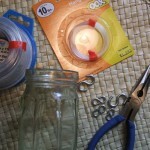 Placing the loop on one side, wrap the wire tightly around the mouth of the jar. 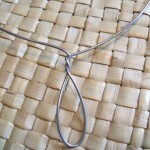 Twist the wire into place opposite the first loop. Twist a couple more times to make it tight! 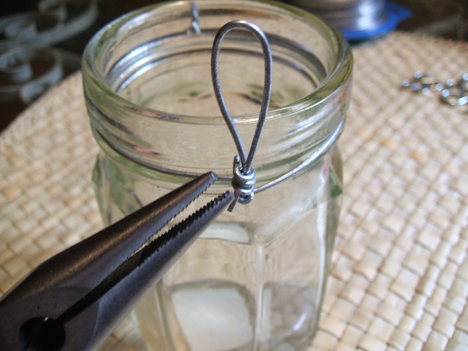 Using the pliers, make another loop. 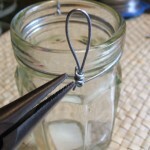 Twist and tighten the wire & then snip off any extra. 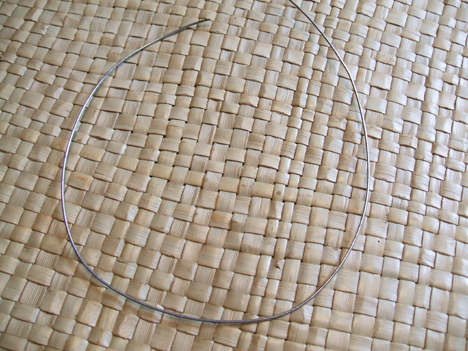 Cut a 15-20 inch piece of picture wire. 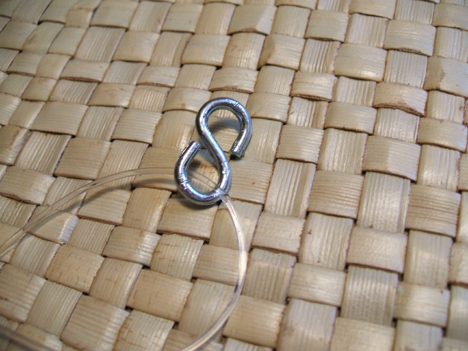 Using the knot tying instructions on the package, tie one end to each loop (creating a handle). 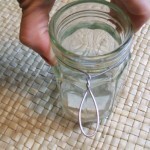 Attach s-hook to hanging wire. 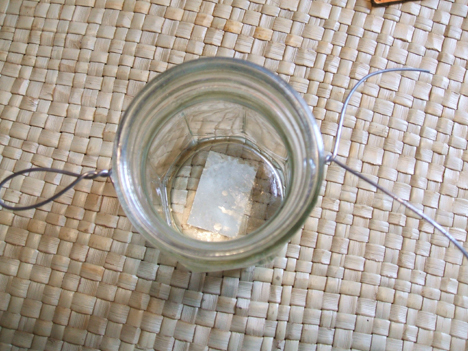 I squeezed mine onto the wire so it would not get lost. 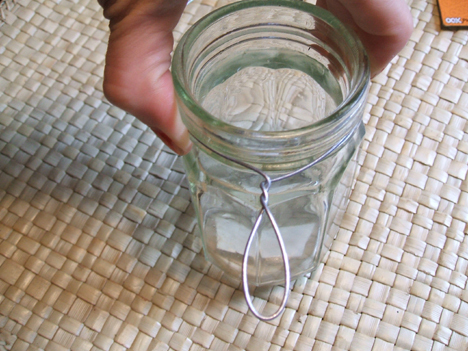 Measure how low you want your jar to hang. 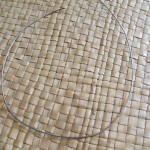 Cut and attach a piece of picture wire going from the s-hook to a nail in the wall to hang it on. A detail shot of the hardware. 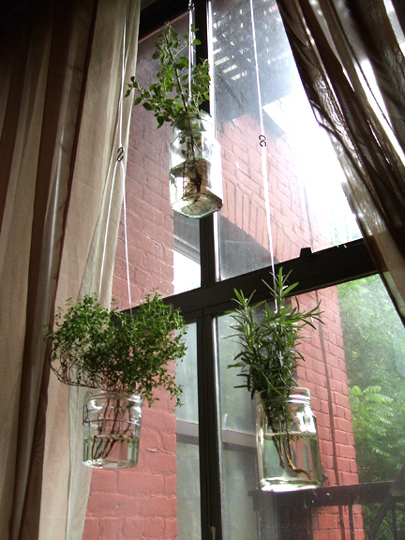 Add water, herbs or even flowers. Have fun!! 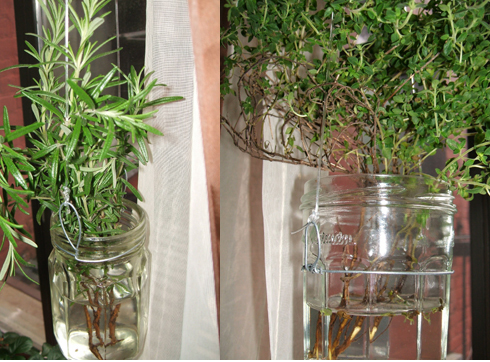 Creating this beautiful floating herb garden is simple. 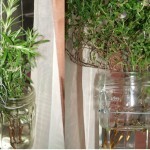 How do you get the plants to transfer to water only? 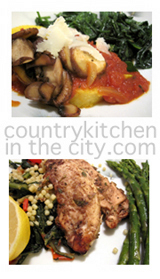 I’d really like to make this. 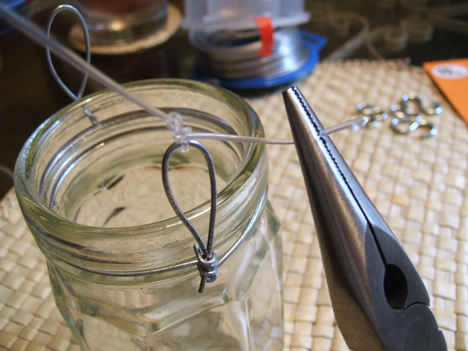 But I’m stuck on tying the knots with the clear wire. I can’t find anything online to help with this, either. 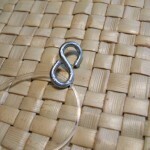 If you look at the link it shows tying fish lures, look at figure #3. 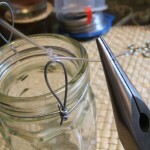 When tying the clear wire you wrap it around 5 or 6 times like in the picture but then you put the end back down through the loops, pull tight and it makes an extremely secure knot. I hope this helps make it a bit clearer, otherwise go to the hardware store and check the back of a package of invisible picture hanging wire, they tell you how to tie the knot. thanks so much! i’ll try this. otherwise i might just try some strong yarn? Do you put the plants in with roots? Doesn’t appear there are any in jars. 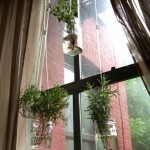 Are the herbs just cuttings?